Shannon Bollinger, 29, Killed After Being Thrown From Motorcycle, Run Over By Car | Schuler, Halvorson, Weisser, Zoeller & Overbeck P.A. 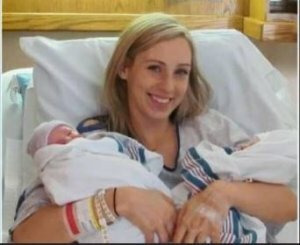 A mother of 5 identified as Shannon Bollinger, 29, is dead after she was thrown from the back of a motorcycle and run over by a car on Florida State Road 200, according to Florida Highway Patrol. Authorities said the mother of five children Shannon Bollinger was killed and Curtis Bollinger was seriously injured, FHP said. According to the report, Shannon Bollinger was not wearing a helmet. Shannon Bollinger, 29, was a passenger on a 2007 Harley-Davidson driven by her husband, Curtis Bollinger, 47 when a speeding driver struck their motorcycle. Curtis Bollinger lost control of his motorcycle and Shannon Bollinger landed on the roadway where she was hit by a white Hyundai driven by a teenager, according to the FHP report. Neither the Hyundai driver nor his passenger was hurt, according to the report. Curtis Bollinger who is a Navy veteran and firefighter was badly hurt after someone hit his motorcycle. Curtis Bollinger and his wife have five children together. Family members described Shannon Bollinger as a loving, devoted mother. Toxicology reports for Curtis Bollinger and Shannon Bollinger from the crash are pending, according to FHP.